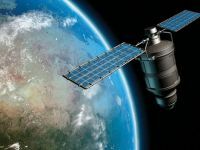 China intends to take part in the upcoming satellite projects in Azerbaijan, the Ambassador of the People's Republic of China to Azerbaijan, Hong Jiuyin said at a meeting with the Azerbaijani Minister of Communications and High Technologies Ali Abbasov. The Chinese companies are showing great interest in Azerbaijan`s satellite projects and will participate in the upcoming tenders for launch of spacecraft, the ambassador said. The first satellite - geostationary satellite of Azerbaijan "Azerspace-1" was launched in early February 2013. The second communication satellite "Azerspace-2" is scheduled to be launched in 2017. Azercosmos JSC's long-term plans include launching a low-Earth orbit satellite in 2016. China is one of the largest players in the market on the launch of satellites, as well as its designer and manufacturer. China's space program was launched in 1956. The first satellite within the framework of the program was launched in 1970. China has a variety of booster rockets ("Long March" and others), right up to heavy, has an extensive set of application satellites of almost all kinds, including geostationary. For 40 years, China has been running more than a hundred satellites. In 2003, China became the world's third space superpower, which has its own manned space program. Along with the U.S., Russia and Europe, China has a national global "Beidou" satellite navigation system. China has three operating spaceport (Jiuquan, Xichang, Taiyuan) and one (Hainan) under construction as well as dozens of scientific and production enterprises of space industry.